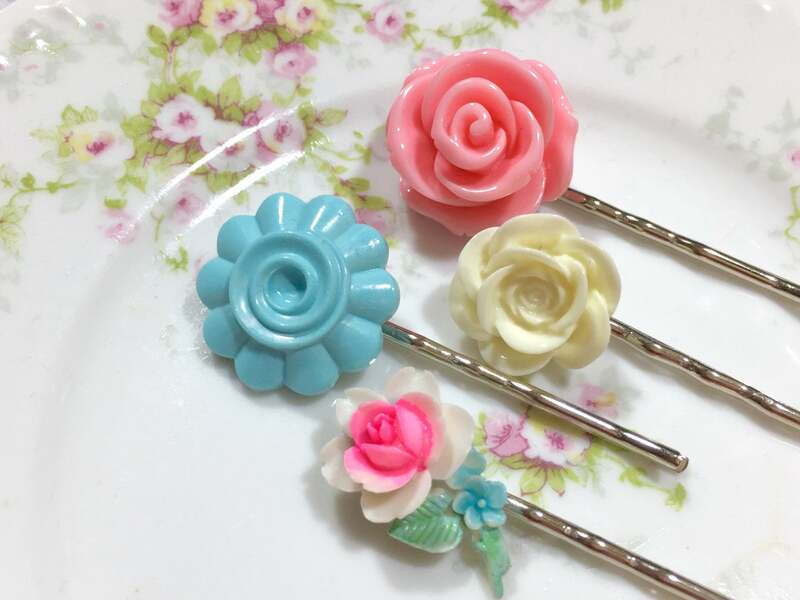 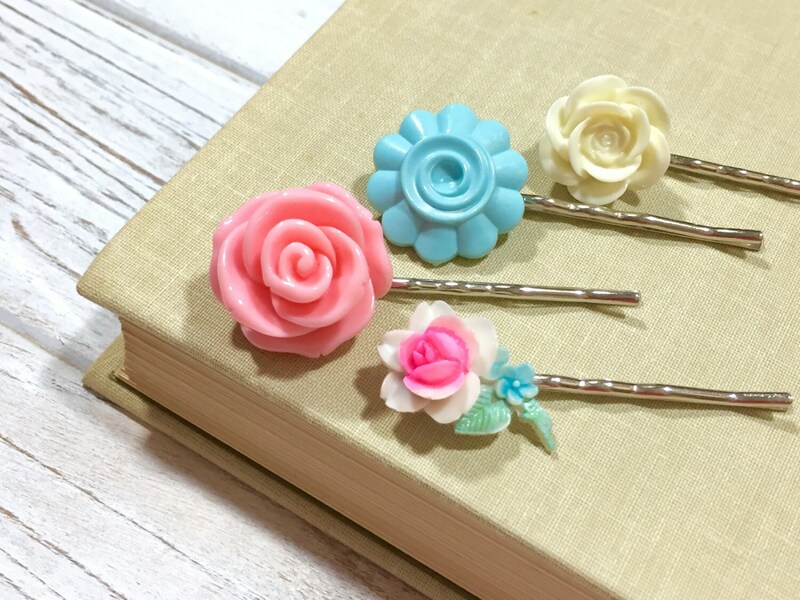 I made this super pretty floral hair accessories bobby pin set with gorgeous vintage and modern flower cabochons - my favorite is the vintage detailed white rose with pink center and blue minty green steam and leaf, followed by a vintage robin's egg blue flower with a spiral center, a chunky detailed pink rose, and an off white rose. 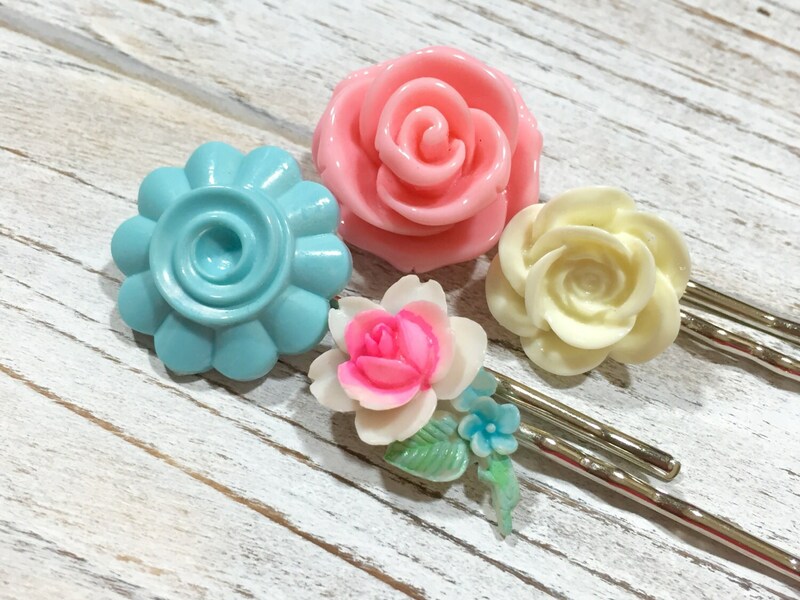 The cabochons were securely affixed to 2" (5cm) silver tone bobby pins with professional grade jewelry epoxy. 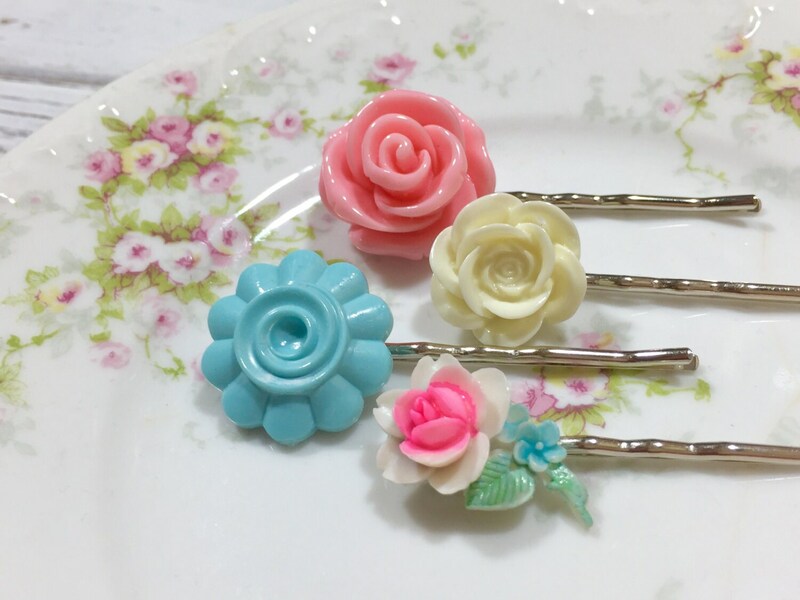 The adornments measure between 3/4 inches and 1 inches wide (1.9cm x 2.5cm).